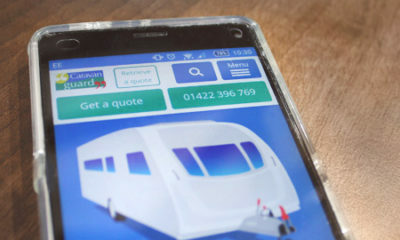 Many of us can’t live without our mobile phone and with the multitude of APPS available they can be an essential part of touring – not just for their built in maps, but staying in contact with friends and family, and even booking a campsite. But the distractions caused by a mobile phone when towing a caravan or driving a motorhome can be catastrophic, and according to the AA you’re twice as likely to crash texting and driving, than drinking and driving. This month, new laws came into force which means tougher penalties for drivers who use a hand-held mobile device when driving. It was first made illegal 14 years ago. Drivers who flout the law now face six penalty points and a £200 fine and new drivers could be banned from driving if they get six penalty points within two years of passing their test. Of course, aside from the potential deadly consequences of using a phone whilst driving, you also need to consider that picking up so many penalty points could have a negative effect on the cost of your towcar or motorhome insurance or your ability to get cover at all so they’re well worth avoiding. It’s illegal to drive, holding a phone in your hand. If you have to use your mobile then you need to park safely and legally with the handbrake on. To avoid any doubt switch off your engine too as stated in the parking rules in the Highway Code. You can use hands-free or voice command phones and sat-navs when driving, but you cannot pick up the device and you must be in full control of your motorhome or car. If you’re involved in an accident or the police think you’re not in control of your vehicle then you could be prosecuted for this or even careless, or dangerous driving. You can’t use your mobile phone when stopped in a queue of traffic or at traffic lights. It’s illegal to read a text message, check your social media or stream and watch videos when you’re behind the wheel of your motorhome or car. If you have to take or make a call it’s best to pull over, stop driving and turn off the engine; or leave the call to go on to voicemail. 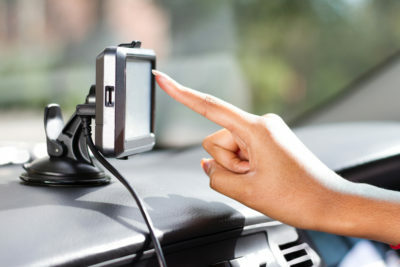 If you’re using your phone as a sat-nav then it must be mounted in a hands-free holder. It’s illegal to hold your phone and use it as a map for directions. If you have to take or make a hands-free call then keep it brief and then follow it up when you can safely stop. You can make an emergency call to 999 or 112 as long as it’s unsafe or impractical for you to have to stop your vehicle. If you call someone on their mobile phone and you know they’re driving, then arrange to talk when it’s safe for them to stop. For more information about the new mobile phone laws visit www.gov.uk or think.direct.gov.uk. After all the talk of the use of a mobile phone whilst driving I see it done everyday just about while I’m out walkin, something in the way of taking the car off them sounds a good idea, why don’t people learn there’s enough publicity on the use of mobile devices no one seems to take any notice, or thinks I’ll chance it. Do like they do in New Zealand if a traffic offence is committed not only take the phone take the car as well. If you’re driving a motorhome or towing, chances are you’ve got a passenger who should make the call. SIMPLE what’s all the fuss? if you’re on your own you can’t make a call. I think hands free should be banned!!!!!! 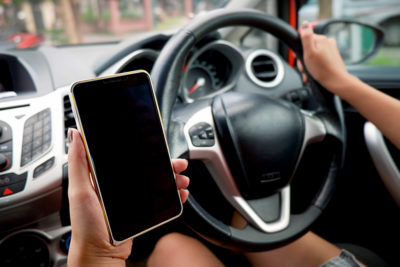 And my own personal opinion is that if a driver is caught breaking the law on handheld devices, not only should they get the points, fine etc, but the device should be confiscated at scene and then either destroyed or sold and the proceeds go to the emergency services to help fund them for when they have to attend accidents where it has been caused by using a mobile device whilst driving. People would soon think twice before doing it. Looks as if the law stops you from using a mobile phone if you are trapped in traffic following a motorway incident where you might e stationary in the outside lane for ages. You are not permitted to walk on the motorway or use your mobile in the car since you have not pulled off the road. On the whole the rules do make sense but some don’t seem to have been fully thought through. Clear and informative. Clarifies what should really be common sense.